Creating a point of sale system is much easier than you may think – and it can save you a bundle. Anyone with a home computer already has the skills! Any Windows PC, laptop or tablet will be fine. If it runs any version of Windows then you can use it. Get a touch screen monitor if you want to reduce customer checkout time but you can use any monitor you wish. The usual devices are a barcode scanner, a cash drawer and a receipt printer. To find local suppliers just do a web search on “pos hardware” and the name of your city. See below for more details. 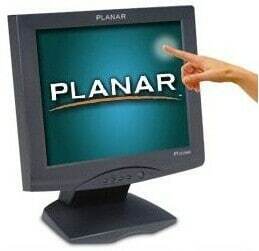 The installer is fast and easy to use. We will gladly assist with the setup if needed. Just call the toll free support line at 1-888-272-4874. A live one-on-one tutorial via remote connection is also available on request. 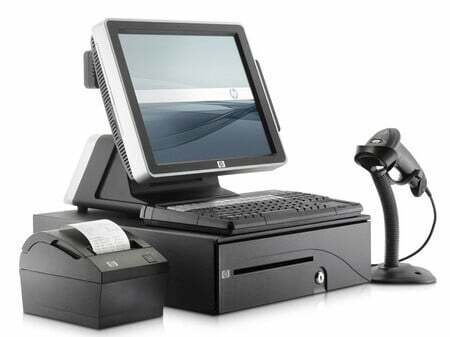 Some POS hardware vendors offer bundled packages usually consisting of a receipt printer, barcode scanner and cash drawer. Try DirectDial at 1-866-807-9832 and say Retail Plus sent you. There are a number of other add-ons if you have special requirements (more on those later). This is a must in stores where customers expect a standard retail sales receipt. The most popular brands are Star Micronics and Epson. Get a thermal point of sale printer because they are smaller, faster, quieter and don’t need cartridges. Skip this if you only want to print invoices and statements – those will print on any ordinary laser or inkjet printer. Any model that connects to the back of a receipt printer will work and no driver installation is needed! Ask the supplier to give you the right cable to connect it to your model of printer. Retail Plus point of sale will let you scan a barcode at the checkout and where ever a stock code is wanted. Any USB scanner will work. Just plug it in and go. Once again, no driver installation needed. So easy. This device will show your customers what item is being checked out, the total due and the change owing. Between sales it will display a message of your own design. Retail Plus supports the Epson and Logic Controls command sets. The Logic Controls LD9000 or the POSX XP8200U are good choices for price and reliability. If your weighing is done at the checkout counter you will want one of these. The Mettler-Toledo Ariva, Viva, and XPress XRV are good choices for quality and affordability. They handle up to 30 pounds or 14 kilos and come in both counter top and in-counter models. Be sure to order the serial cable that goes with it. It uses a DB9 “null modem” serial cable and these are not usually found in regular computer shops. If your weighing is done away from the checkout counter then you can use any scale that prints standard Random Weight Barcode labels. The label tells Retail Plus what it is and how much there is. The systems then adjusts inventory and calculates the price. Retail Plus supports multiple payment systems like X-Charge, Vantiv, First Data, National Payment and Heartland. They all process cards quickly and offer an easy way to launch your own store branded gift cards. 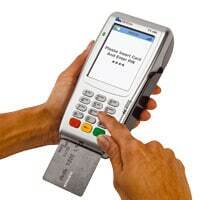 They also protect you from fraud with state of the art EMV security features. If you are still charging credit cards by swiping magnetic stripes then it is important to get on board with EMV as soon as possible. Call us for details. Retail Plus includes links to this popular accounting package using Intuit’s QB-XML data sharing standard. It allows you to transfer open invoices from Retail Plus to QuickBooks and make payments on them from the POS screen. You can post your POS revenues directly to your QB accounts and share both client and inventory info as well. IfYou will want one of these if you have a large amount of barcoded stock that needs frequent counting. To count inventory quickly just walk along the shelves reading a barcode from each item and punch in the shelf count. When you are done transfer the information to your computer where Retail Plus can read it. You can now view a table that shows where the shelf count does not agree with the computer data. A good choice is the Metrologic ScanPal. Our friendly technicians are here to help, and we are only a phone call away. Give us a call and we’ll guide you through everything you need. We can even install Retail Plus for you – just phone to schedule a live remote technician at no extra charge. Call 1-888-272-4874. For overseas calls please dial +1 250-931-2555.